In the present fast paced times people are so busy, that they probably do not have time to take up the stress of planning their own affairs. That's where the role of a Wedding planner/ Bridal Consultant comes in. Wedding planning is a segment of event management. Now let us discuss about who a Wedding planner/ Bridal Consultant is and about his/her duties. Wedding Planners often referred to as Bridal consultants, is one who assist couples in planning their wedding as per requirement. A career as a wedding consultant involves working with brides and grooms through out the wedding planning process. 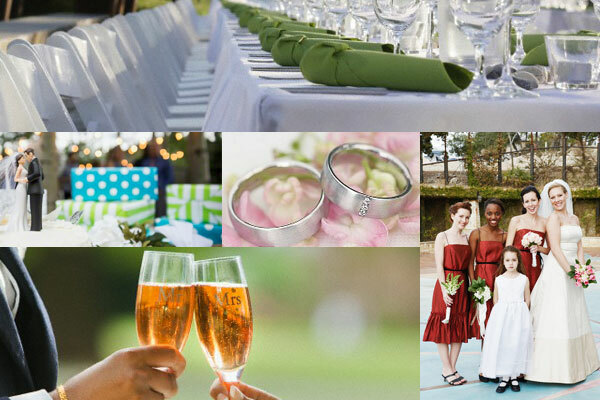 A wedding planner assists with the design, planning and management of a client's wedding. Wedding planners ensure that the overall vision of the bride and groom is executed, which could include consulting with clients about the wedding's theme and decor, ceremony, reception and even the costumes. The services of a wedding planner can include budget preparation, booking venues, hiring of wedding professionals and service providers including caterers, photographers, videographers, beautician, florists musicians etc. In this job, multitasking and the related pressure is inevitable and only an ardent passion for what you do will make you a successful wedding planner. The USP is getting best service for the clients at reasonable rates. There are no set qualifications to become a wedding planner. Although education in hospitality, business or public relations can be helpful. Many have no formal education and learn on the job. They move into wedding planning from working in events, hospitality or catering. Being a self employed career, individuals interested in this field must have a strong business sense. In the current scenario of growing popularity of theme weddings, couples are looking for something more exotic, adventurous and different from a traditional home based wedding. This along with popularity for wedding tourism in India has increased the scope of employment for wedding planners in India. If you enjoy meeting people, have good contacts and love organising things, this job could be perfect for you. Moreover you should have creative ideas to plan a theme and arrange food, rituals, decor, clothes, makeup for the whole family according to the theme. Wedding Planners can get employment in hotels, resorts, event management companies, banquet halls planning special events, bridal shops, caterers, florists, wedding planner firms and many more. At the entry level, one can work under wedding planner firms, bridal shops or event planners. After gaining experience they can start their own enterprise. It is difficult to define exactly how much a Wedding planner/ Bridal Consultant earns, every wedding planner will find their own way to charge for their services and depending on location and clients requirements salaries will vary. If you work under a firm or event planner what you earn depends on the reputation of the firm and it can be as salary on monthly basis. On the other hand, where you are the boss of your own enterprise then what you earn from this field is lucrative, you can charge based on your work and client. One can earn a minimum of Rs.10,000- Rs. 20,000 per service. There are no institutes that conduct courses specifically for wedding planning in India, but a course in event management will teach you the basics of planning an event. However, tailor made courses for wedding planning are available abroad.